The Auntie Annie's Pretzel Food Truck is Completely Amazing. Auntie Anne’s is best known for their freshly-baked soft pretzels often available in fine shopping malls across America. If you’re visiting a shopping center with an Auntie Anne’s, you’ll probably be able catch a the sweet smell of handmade pretzels before ever see their trademark pretzel logo. While Auntie Annie’s has historically been a destination for a quick snack at malls, the company has more recently expanded into a mobile presence that can travel anywhere there’s a crowd. Some of the events that Auntie Anne’s has been able to take advantage of due to their food trucks include college campuses, school rallies, parks, and fund raisers. Due to the success and popularity of these mobile units, over 10 Auntie Anne’s food trucks and concession trailers are now on the road. You can find a food truck near you by checking out the Auntie Anne’s food truck location page. You’ll find these rolling units in many major metros, including Seattle, Cincinnati, and Atlanta. This unit was built with everything needed to serve warm pretzels that taste just like the ones served at brick-and-mortar locations for over 30 years. In fact, Auntie Anne’s actually got it’s start in mobile food in Pennsylvania when the founder began serving pretzels a farmer’s markets. Fast forward 3-decades and the company has evolved into a globally recognized food brand. Inside the video tour you’ll get a 360 degree look at the new vehicle. Near the midway point of the video you’ll get an inside look at the mobile kitchen that includes an oven, thermal shelves, two refrigerators, plenty of shelve space, and AC for employees. In short, everything needed to create those trademark fresh baked pretzels! But pretzels are just the beginning of what’s regularly served on this unit. A lemonade dispenser is also installed on the unit to serve refreshments. In addition to original lemonade, more adventurous lemonade mixers can be served with fun flavors like cherry, blueberry, or mango. A generous sized mobile ice bin was also installed on this unit to ensure drinks remain ice cold. According to this CNN Money article, 25% of malls are destined to disappear within 5 years. Whether or not that estimate is 100% accurate, the general trend that less people are visiting shopping malls is well documented and reported. Consumer behavior has changed since Auntie Anne’s was founded in the late 1980s. Unlike many other retailers and national restaurants, Auntie Anne’s has been swift to adapt to the macro changes in customer behavior. According to this piece in the Nation’s Restaurant News, the companies internal mantra is to “bring pretzels to the people.” By expanding their mobile fleet, the company and franchisees are able to do exactly that. Beyond being able to follow consumer demand with mobile units, Auntie Anne’s catering business has directly benefited. 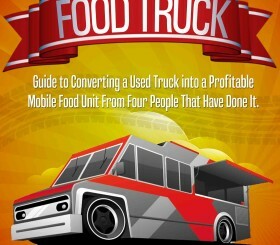 It’s no secret that food trucks and trailers are essentially mobile billboards for a business in addition to profit center. By attending local events, owners are able to connect with businesses and individuals that need catering services and offer a full food truck experience to attendees. Whether your booking a small catering event for employees or hosting a birthday party, having a food truck attend your event creates a more memorable overall experience than traditional catering options. Whether you’re in the mall and now a local festival, keep a your eye’s peeled for Auntie Anne’s. To learn more about the franchising opportunities for this business click here.